Metro Business College (MBC) gives you the personal attention and career focus that transforms ''job training'' into building a profession. Small classes and dedicated instructors give you the educational advantages as you prepare for the workplace. Metro Business College is a private career college that has been training students to meet career demands since 1968. The oldest current location is the Cape Girardeau location, which was started in 1981. The Rolla campus was opened in 1984, the Jefferson City campus was opened in 1985, and the Arnold campus was opened in 2007. MBC offers certificates, diplomas, and associate of applied science degrees that usually range between 9-18 months. Financial aid is available for those who qualify. A Career Services Coordinator will assist students in finding their new career. 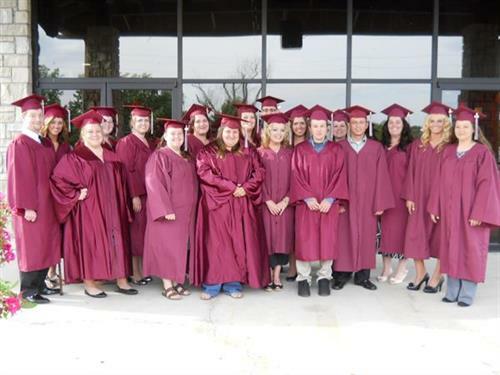 After a student has graduated, MBC offers continuous placement assistance and refresher courses. We cannot guarantee job placement, but we will train you and give you the skills necessary to obtain a new career. For more information regarding graduation and placement rates, program costs, and other information, please go to www.metrobusinesscollege.edu/disclosures.html. From Interstate 44 take Hwy 63 South. Make a left onto Hwy 72 continue on hwy 72 to 1202 East Hwy 72. We are located on the right just past Family Center.